Is it allowed to bring dolls to class? Of course not! And what if this is not an ordinary doll, but a real storage of stationery? Then another thing! 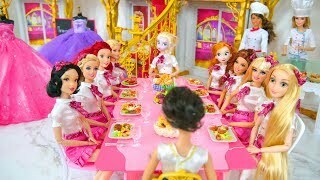 Watch our new video on how to make dolls school-friendly! Question of the Day: what weird school supplies did you like the most? Comment Below! Subscribe Here: https://goo.gl/KM3Axw 15 Smart And Helpful Beauty Hacks: https://youtu.be/i1waWh63rag?list=PLy0LaulZe0vSUQifjokDaw5m9aIgOQKt- Make up right during the lesson? It's easy! With our new lifehacks and ideas on how to sneak cosmetics into class, make it is easier than ever! Don't believe me? Watch our today's video and you'll see for yourself! Supplies and tools: • Easel • Mirror • A4 paper • Glue • Wooden skewer • Hot glue gun • Makeup • Acrylic paints • Globe • Utility knife • Styrofoam • Sandpaper • Printed stickers with makeup labels • Wooden jewelry box • Dry cement • Matte acrylic polish • Painter’s tape • School supplies organizer • Cardboard • Rubbing alcohol • Pipette • Makeup sponge • Oil blotting paper • Backpack • Elastic ribbon • Printed notebook cover • Hole puncher • Binder clip • Jump rings • Flat pliers • Clear nail polish • Decorative mica flakes • Keychain ring with a tassel • EOS • Makeup pigments • Modeling tools • Lip liner • Eyeliner • Baby powder • Clay • Rectangular silicone molds • Empty chalk box • Empty glitter pots • Magnets • Magnetic board • Cord • Plastic tube container • Candle • Zipper • Cotton pads • Makeup brushes Watch More Troom Troom: Popular Videos: 14 Weird Ways To Sneak Food Into Class / Back To School Pranks: https://youtu.be/W5p2ndS34vA 18 Funny Pranks! Prank Wars! https://youtu.be/yWazGzCNtJ4 11 DIY Edible Makeup Ideas/11 Funny Pranks: https://youtu.be/kewz3hF63Xo 17 Weird Ways To Sneak Makeup Into Class: https://youtu.be/bvhBIsmzhwE Gummy Food vs Real Food Challenge! 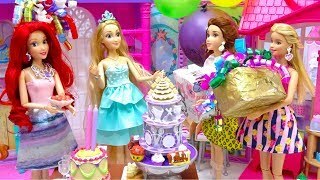 https://youtu.be/jBIG6GsQcq8 Popular Playlists: Funny Pranks: https://goo.gl/hi5TWw Back to School: https://goo.gl/J5fhDt Life Hacks: https://goo.gl/Bcd7KW Beauty And Makeup Hacks: https://goo.gl/Rqpxqg Home Décor: https://goo.gl/Rh88EL Follow Troom Troom: Subscribe: https://goo.gl/KM3Axw Instagram: https://www.instagram.com/troomtroom/ Facebook: https://www.facebook.com/troomhands Pinterest: https://pinterest.com/troomtroom/ Troom Troom Español: Subscribe: https://goo.gl/RL3cF2 Troom Troom Française: Subscribe: https://goo.gl/1LHrhX Troom Troom Russian: Subscribe: https://goo.gl/kLx8qK Troom Troom Deutsch: Subscribe: https://goo.gl/qoFyJ4 Troom Troom Chinese: Subscribe: https://goo.gl/T9B6oF Troom Troom Português: Subscribe: https://goo.gl/Z6vdNC Troom Troom Japanese: Subscribe: https://goo.gl/x3V8HH About Troom Troom: Easy DIY "how to" video tutorials. DIY Accessories, Scrapbooking Cards, Home Décor, Make Up Tutorials, Life Hacks, and MUCH more! Make it easy! For any business enquires please contact me at: troomtroomdiy@gmail.com Question of the Day: did you like our school makeup ideas? Comment Below! Don’t forget to turn on notifications, like, & subscribe! 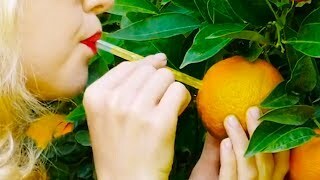 Subscribe Here: https://goo.gl/KM3Axw 11 Cool Edible Pranks And Games For Your Friends / Edible Stress Relievers: https://youtu.be/SiLhXIbSRAs?list=PLy0LaulZe0vQsYtqDelSwJsjS33pTHl8h Do you like unusual experiments? Fine! Today we'll make experiments with soap. What about liquid rainbow soap or soap-cupcake? It looks very beautiful, and it's also perfect for prank on your friends! Watch new incredible soap recipes in our video! Supplies and tools: • Hard soap base • Rubbing alcohol in a spray bottle • Watch-shaped soap mold • Water soluble paper • Makeup glitter • Makeup pigments • Grapeseed oil • Toothpick • Polymer clay • Oreo • Water-soluble avocado oil • Cosmetic cocoa powder • Milk chocolate fragrance • Knife • Hairless Barbie head • Straw • Hot glue gun • Vaseline • Building silicone • Lavender essential oil • Paper clip • Pipette • Food colorings • Loofah • Satin ribbon • Needle • Air-dry clay • LOL doll • Plastic • Peppermint essential oil • Silicone muffin mold • Silicone heart mold • Gelatin • Mixer • Confectionery bag • Lipstick shaped pen • Plastic cup • Mica powder • Liquid soap base • Dispenser bottle • Decorative stars Music: Carefree Melody by Twin Musicom is licensed under a Creative Commons Attribution License (https://creativecommons.org/licenses/by/4.0/). Source: http://www.twinmusicom.org/song/302/carefree-melody Artist: http://www.twinmusicom.org Watch More Troom Troom: Popular Videos: 14 Weird Ways To Sneak Food Into Class / Back To School Pranks: https://youtu.be/W5p2ndS34vA 18 Funny Pranks! Prank Wars! https://youtu.be/yWazGzCNtJ4 11 DIY Edible Makeup Ideas/11 Funny Pranks: https://youtu.be/kewz3hF63Xo 17 Weird Ways To Sneak Makeup Into Class: https://youtu.be/bvhBIsmzhwE Gummy Food vs Real Food Challenge! 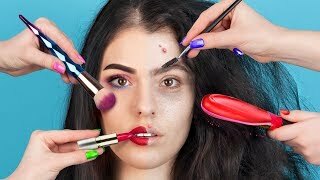 https://youtu.be/jBIG6GsQcq8 Popular Playlists: Funny Pranks: https://goo.gl/hi5TWw Back to School: https://goo.gl/J5fhDt Life Hacks: https://goo.gl/Bcd7KW Beauty And Makeup Hacks: https://goo.gl/Rqpxqg Home Décor: https://goo.gl/Rh88EL Follow Troom Troom: Subscribe: https://goo.gl/KM3Axw Instagram: https://www.instagram.com/troomtroom/ Facebook: https://www.facebook.com/troomhands Pinterest: https://pinterest.com/troomtroom/ Troom Troom Español: Subscribe: https://goo.gl/RL3cF2 Troom Troom Française: Subscribe: https://goo.gl/1LHrhX Troom Troom Russian: Subscribe: https://goo.gl/kLx8qK Troom Troom Deutsch: Subscribe: https://goo.gl/qoFyJ4 Troom Troom Chinese: Subscribe: https://goo.gl/T9B6oF Troom Troom Português: Subscribe: https://goo.gl/Z6vdNC Troom Troom Japanese: Subscribe: https://goo.gl/x3V8HH About Troom Troom: Easy DIY "how to" video tutorials. DIY Accessories, Scrapbooking Cards, Home Décor, Make Up Tutorials, Life Hacks, and MUCH more! Make it easy! For any business enquires please contact me at: troomtroomdiy@gmail.com Question of the Day: what soap recipe did you like the most? Comment Below! Don’t forget to turn on notifications, like, & subscribe! Subscreve aqui: https://goo.gl/Z6vdNC COMO ESCONDER MAQUIAGEM NO MATERIAL ESCOLAR / 12 PEGADINHAS PARA FAZER NA ESCOLA: https://youtu.be/HPsidPFVBzw?list=PLiZaXQFOdAtIal5CgWH-wiJmY7Sh9t1SK Bolas de olho ou ovos cozidos? Macarrão comum ou de monstro? Um zumbi pode suportar comida comum? Ou pode uma menina não ter medo de comida zumbi? 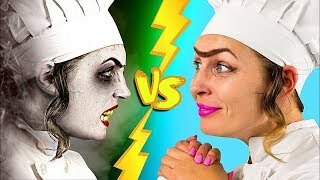 Assista ao desafio de comida de Halloween versus comida real em nosso novo vídeo! Suprimentos e ferramentas: • Ovos cozidos • Suco de tomate • Páprica • Pimenta preta • Azeite • Azeitonas verdes • Azeitonas pretas • Canudo • Corante alimentar vermelho • Salsinha • Maçã vermelha • Faca • Gelatina • Marshmallows • Borda de pizza • Ketchup • Salame • Queijo • Pão de centeio • Patê de fígado • Mostarda • Papel manteiga • Fita • Bolos • Cobertura branca • Chocolate ao leite • Massas de Fettuccine • Sal • Óleo vegetal • Agua • Sorvete com cobertura vermelha • Forma em forma de cérebro • Bolo de chocolate • Chupa Chups • Papel alumínio • Pistola de cola quente • Olhos de brinquedo • Cobertura de morango Music: Heart of the Beast by Kevin MacLeod is licensed under a Creative Commons Attribution (https://creativecommons.org/licenses/by/4.0/). Source: http://incompetech.com/music/royalty-free/index.html?isrc=USUAN1100209 Artist: http://incompetech.com/ This is Halloween Dubstep Style by TheJakeLeeProject! is licensed under a Creative Commons 3.0 Unported License. Source: https://soundcloud.com/thejakeleeproject/this-is-halloween-dubstep Griphop by Kevin MacLeod is licensed under a Creative Commons Attribution (https://creativecommons.org/licenses/by/4.0/). Source: http://incompetech.com/music/royalty-free/index.html?isrc=USUAN1100413 Artist: http://incompetech.com/ Vê mais do Troom Troom: Videos populares: 11 IDEIAS PARA TROLLAR AMIGOS COM MAQUIAGEM COMESTÍVEL: https://youtu.be/33ajqMSc9qg COMO ESCONDER MAQUIAGEM NO MATERIAL ESCOLAR: https://youtu.be/K0wKzjIxZWM 14 MANEIRAS DE LEVAR COMIDA PARA A AULA / COMO ESCONDER COMIDA NA ESCOLA: https://youtu.be/-9vkCIKr0GA 7 TRUQUES IMPRESSIONANTES COM COLA QUENTE: https://youtu.be/RNm-eCNA1Yk IDEIAS INCRÍVEIS PARA FAZER EM CASA — DIY BOLINHAS ANTI STRESS: https://youtu.be/m_ORMqMeXDQ Playlists populares: Partidas engraçadas: https://www.youtube.com/playlist?list=PLiZaXQFOdAtICe4tO-ptXf3wNpXUN3TTF Truques para o dia-a-dia: https://www.youtube.com/playlist?list=PLiZaXQFOdAtIMOgT2gIBEmAws-f52f90E Regresso às aulas: https://www.youtube.com/playlist?list=PLiZaXQFOdAtIal5CgWH-wiJmY7Sh9t1SK DIY comésticos: https://www.youtube.com/playlist?list=PLiZaXQFOdAtJn7BDE-g8KxOieMziWzt5- Gosmas incríveis: https://www.youtube.com/playlist?list=PLiZaXQFOdAtKOWgpZu_IyCTXA3Cg5u0mi Segue o Troom Troom: Subscreve: https://goo.gl/Z6vdNC Instagram: https://www.instagram.com/troomtroom/ Facebook: https://www.facebook.com/troomhands Pinterest: https://pinterest.com/troomtroom/ Troom Troom English : Subscreve: https://goo.gl/KM3Axw Troom Troom Español: Subscreve: https://goo.gl/RL3cF2 Troom Troom Française: Subscreve: https://goo.gl/1LHrhX Troom Troom Russian: Subscreve: https://goo.gl/kLx8qK Troom Troom Deutsch: Subscreve: https://goo.gl/qoFyJ4 Troom Troom Chinese: Subscreve: https://goo.gl/T9B6oF Troom Troom Japanese: Subscreve: https://goo.gl/x3V8HH Sobre o Troom Troom Vídeos tutoriais com DIY fáceis de fazer. DIY de acessórios, postais, decoração para a casa, tutoriais de maquilhagem, truques para o dia-a-dia, e MUITO mais! Simplifica! Para qualquer questão de trabalho por favor contacte: troomtroomdiy@gmail.com Questão do dia: qual é a parte do vídeo que gostaste mais? Comenta em baixo! Não te esqueças de ligar as notificações, gostar & subscrever! Subscribe Here: https://goo.gl/bvf29t 9 Drawing Tricks And Hacks You Should Know: https://youtu.be/QPBjEm44FRI?list=PLJTrPxyqh-tLeI8xXChakkR-AvDcPjWGc If you feel boredom again, then it's time to come up with some fun activities! Watch our new selection of interesting ideas, and today you definitely will not be bored! Supplies: • Metal bottle caps • Acrylic paint • Hot glue gun • Glitter • Threads • 5L bottles • Decorative adhesive tape • Felt • Strings • Needle • Buttons • Ring • Eggs • Paints • Pencils • Pencil sharpener • Chairs • Whatman paper • Marker • Scissors • Pipette • Plastic box • Plastic • Cardboard box • Wooden sea figurines • Foam rubber • Box cutter • Modeling clay • Foil • Sheets for notes • Glass • Brush • Ball Music: Tobu - Candyland Artist: http://youtube.com/tobuofficial Watch More Troom Troom SELECT: Popular Videos: 19 Magic Tricks To Impress Your Friends: https://goo.gl/ggry7A 16 Edible School Supplies! Prank Wars! : https://goo.gl/FNCAaz 19 Life Hacks To Make Your Life Easier: https://goo.gl/6KE9As 16 Cool Things You Can Make With Glue Gun: https://goo.gl/LUXVsG 14 Hot Glue Gun Life Hacks For Crafting: https://goo.gl/U2MVQt Popular Playlists: Magic Tricks: https://www.youtube.com/playlist?list=PLStfTQaLmLwj_ApLmpN3wOsYnsIDqKWwo Best pranks: https://www.youtube.com/playlist?list=PLStfTQaLmLwgNIPT7UKfSMX7NPt7dCBYv Back to School: https://www.youtube.com/playlist?list= PLStfTQaLmLwh3UFdm5MCoJu6G3nfhvbSR Best Life Hacks: https://www.youtube.com/playlist?list=PLStfTQaLmLwjMIZoW29M2-zs3s_RXphng Home Decor Ideas: https://www.youtube.com/playlist?list=PLStfTQaLmLwjEC9v9ULlK4hmjBd15MbLi Follow Troom Troom Select: Subscribe: https://goo.gl/yZSTiG Instagram: https://www.instagram.com/troomtroom/ Facebook: https://www.facebook.com/troomhands Pinterest: https://pinterest.com/troomtroom/ Troom Troom Español: Subscribe: https://goo.gl/RL3cF2 Troom Troom Française: Subscribe: https://goo.gl/1LHrhX Troom Troom Russian: Subscribe: https://goo.gl/kLx8qK Troom Troom Deutsch: Subscribe: https://goo.gl/qoFyJ4 Troom Troom Chinese: Subscribe: https://goo.gl/T9B6oF Troom Troom Português: Subscribe: https://goo.gl/Z6vdNC Troom Troom Japanese: Subscribe: https://goo.gl/x3V8HH About Troom Troom Select: Easy DIY "how to" video tutorials. DIY Accessories, Scrapbooking Cards, Home Décor, Make Up Tutorials, Life Hacks, and MUCH more! Make it easy! For any business enquires please contact me at: troomtroomdiy@gmail.com Question of the Day: what idea did you like the most? Comment Below! Don’t forget to turn on notifications, like, & subscribe! Subscribe Here: https://goo.gl/KM3Axw 13 Tricks Advertisers Use To Make Food Look Delicious / Food Photo Hacks: https://youtu.be/vs7lZrSEe14?list=PLy0LaulZe0vSljAapkasaxsIKJp7I-7j0 Is it possible to make a beautiful manicure and makeup in 15 minutes and get stylish dressed to be ready for a party? With our secrets of express beauty, this is real! Watch new Troom Troom video, do what we do, and you'll be able to transform into beauty girl in a few minutes. Supplies and tools: • Contact lenses • Espresso coffee • Cream • Cotton pads • Chocolate • Almond butter • Nail polishes • Thin belts • Snap fasteners • Hole puncher • Scissors • Marker • Flat iron • Bobby pins • Makeup products • Hair spray • Makeup stickers • Glitter Watch More Troom Troom: Popular Videos: 14 Weird Ways To Sneak Food Into Class / Back To School Pranks: https://youtu.be/W5p2ndS34vA 18 Funny Pranks! Prank Wars! 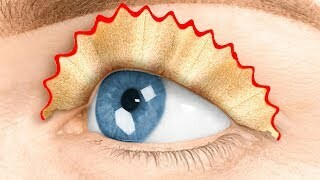 https://youtu.be/yWazGzCNtJ4 11 DIY Edible Makeup Ideas/11 Funny Pranks: https://youtu.be/kewz3hF63Xo 17 Weird Ways To Sneak Makeup Into Class: https://youtu.be/bvhBIsmzhwE Gummy Food vs Real Food Challenge! 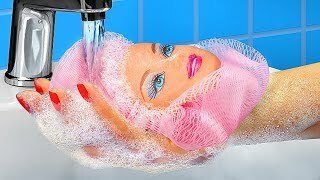 https://youtu.be/jBIG6GsQcq8 Popular Playlists: Funny Pranks: https://goo.gl/hi5TWw Back to School: https://goo.gl/J5fhDt Life Hacks: https://goo.gl/Bcd7KW Beauty And Makeup Hacks: https://goo.gl/Rqpxqg Home Décor: https://goo.gl/Rh88EL Follow Troom Troom: Subscribe: https://goo.gl/KM3Axw Instagram: https://www.instagram.com/troomtroom/ Facebook: https://www.facebook.com/troomhands Pinterest: https://pinterest.com/troomtroom/ Troom Troom Español: Subscribe: https://goo.gl/RL3cF2 Troom Troom Française: Subscribe: https://goo.gl/1LHrhX Troom Troom Russian: Subscribe: https://goo.gl/kLx8qK Troom Troom Deutsch: Subscribe: https://goo.gl/qoFyJ4 Troom Troom Chinese: Subscribe: https://goo.gl/T9B6oF Troom Troom Português: Subscribe: https://goo.gl/Z6vdNC Troom Troom Japanese: Subscribe: https://goo.gl/x3V8HH About Troom Troom: Easy DIY "how to" video tutorials. DIY Accessories, Scrapbooking Cards, Home Décor, Make Up Tutorials, Life Hacks, and MUCH more! Make it easy! For any business enquires please contact me at: troomtroomdiy@gmail.com Question of the Day: did you like our beauty transformation tips? Comment Below! Don’t forget to turn on notifications, like, & subscribe! Subscribe Here: https://goo.gl/bvf29t 22 Funny Hacks That Work Magic: https://youtu.be/9kpw74VSkR8?list=PLStfTQaLmLwjMIZoW29M2-zs3s_RXphng Today we'll show you 22 cool ways to make your bathroom fabulous! These smart ideas for bathroom decor will help you to change old boring accessories into new stuff. Supplies and tools: • Sponges • Soap • Metal hanger • Paper towels • Disposable fork • Wet wipes • Paint • Paper • Scrap paper • Cardboard • Sleeves • Hot gun • Colored paper • Hand lotion • Foil • Aerosol paint • Razor • Hooks • Ketchup • Coca-cola • PVC panel • Jars • Napkins • Elmer’s glue • Fasteners • Metal ties • Plastic ties • Paper knife • Toothpaste • Shaving foam • Toothbrush • PVC pipe • Decorative scotch tape • Baking soda • Vinegar • Jars from Pringle’s • Plastic bottle Music: Song: Itro - Panda [NCS Release] Music provided by NoCopyrightSounds. Watch: https://youtu.be/FkKjZz2vpy4 Free Download / Stream: http://ncs.io/panda Watch More Troom Troom SELECT: Popular Videos: 19 Magic Tricks To Impress Your Friends: https://goo.gl/ggry7A 16 Edible School Supplies! Prank Wars! : https://goo.gl/FNCAaz 19 Life Hacks To Make Your Life Easier: https://goo.gl/6KE9As 16 Cool Things You Can Make With Glue Gun: https://goo.gl/LUXVsG 14 Hot Glue Gun Life Hacks For Crafting: https://goo.gl/U2MVQt Popular Playlists: Magic Tricks: https://www.youtube.com/playlist?list=PLStfTQaLmLwj_ApLmpN3wOsYnsIDqKWwo Best pranks: https://www.youtube.com/playlist?list=PLStfTQaLmLwgNIPT7UKfSMX7NPt7dCBYv Back to School: https://www.youtube.com/playlist?list= PLStfTQaLmLwh3UFdm5MCoJu6G3nfhvbSR Best Life Hacks: https://www.youtube.com/playlist?list=PLStfTQaLmLwjMIZoW29M2-zs3s_RXphng Home Decor Ideas: https://www.youtube.com/playlist?list=PLStfTQaLmLwjEC9v9ULlK4hmjBd15MbLi Follow Troom Troom Select: Subscribe: https://goo.gl/yZSTiG Instagram: https://www.instagram.com/troomtroom/ Facebook: https://www.facebook.com/troomhands Pinterest: https://pinterest.com/troomtroom/ Troom Troom Español: Subscribe: https://goo.gl/RL3cF2 Troom Troom Française: Subscribe: https://goo.gl/1LHrhX Troom Troom Russian: Subscribe: https://goo.gl/kLx8qK Troom Troom Deutsch: Subscribe: https://goo.gl/qoFyJ4 Troom Troom Chinese: Subscribe: https://goo.gl/T9B6oF Troom Troom Português: Subscribe: https://goo.gl/Z6vdNC Troom Troom Japanese: Subscribe: https://goo.gl/x3V8HH About Troom Troom Select: Easy DIY "how to" video tutorials. DIY Accessories, Scrapbooking Cards, Home Décor, Make Up Tutorials, Life Hacks, and MUCH more! Make it easy! For any business enquires please contact me at: troomtroomdiy@gmail.com Question of the Day: what interesting life hacks you’ve ever encountered? Comment Below! Don’t forget to turn on notifications, like, & subscribe!